Professor Florendo Visitacion, or, as he is commonly called, Professor Vee, was born in Ilocos Norte, Philippines in 1910. He began early, informal training in Arnis at the age of ten. At the age of sixteen, he left his home and family and journeyed to the Hawaiian Islands. In 1928, he moved to Stockton, California where he continued studying Filipino martial arts from available sources. After traveling around California for a number of years, Florendo Vistacion entered the U.S. Army during World War II. This marked a turning point in his life in that he began to view martial arts in a new light. He read and became intrigued with an officer’s hand-to-hand combat manual which claimed to present a combination of styles from different countries. The idea of integrating techniques from a variety of martial arts was very appealing to him. This soon led the young Visitacion on a personal journey where he was to devote many years to the study of different fighting styles. Along the way, he realized that mastery of a particular system was not always neccessary. What was essential, however, was the ability to understand its useful principles and how to apply them effectively in a given situation. It was important for a student of the fighting arts to absorb only what was applicable and to tailor the art to his or her needs. That was why he also advocated the researching of other systems. It was by doing so, he felt, an individual could learn and choose from a variety of techniques, thereby improving one’s fighting skills. In 1950, he moved to New York. A year later, Visitacion trained under ex-marine Charles Nelson, also a World War II veteran, and an expert in the art of Mongolian wrestling. Nelson was particularly adept in joint locking techniques. 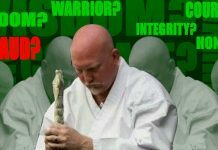 Professor Vee later augmented his training by learning modern Jiujitsu under Kiyose Nakae, author of the book Jiujitsu Complete. He also took up Judo and the Indian art of Varmannie. In 1958, he studied under R. H. Sigward, the author of Modern Self-Defense. 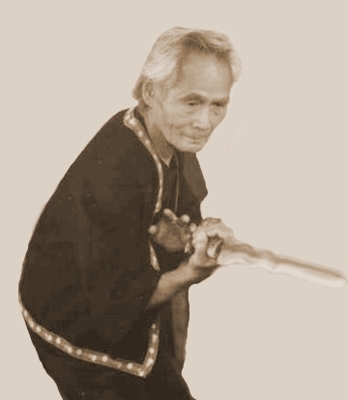 On September 5, 1955, he introduced Vee-Jitsu, an early forerunner of his art, Vee-Arnis-Jitsu. In 1960, Visitacion joined the American Judo and Jiujitsu Federation. He was appointed the director of its Northeast Division. 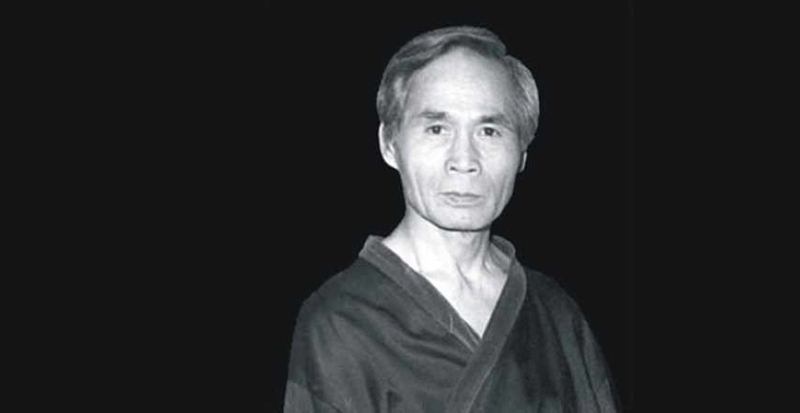 During one trip to an AJJF conference in California, he met and began a life-long friendship with Professor Wally Jay, the renowned grandmaster of Small Circle Jiujitsu. He also befriended the late Raymond Tabosa, a noted master of the Filipino martial art, Kali. Thanks to a renewed interest in Filipino martial arts, Professor Vee began a ten-year study of Arnis Lanada under Master Amante Mariñas. He also learned additional techniques from Grandmaster Remy Presas of the school of Modern Arnis. In addition, he also received training from Leo Gaje, a noted expert in the Pekiti Tirsia Kali system. In 1978, the Arnis America Organization headed by Grandmaster Gaje gave him the Datu award in recognition for his work in promoting Filipino martial arts. Five years later, he also received the prestigious instructor’s rank from Master Mariñas and the World Arnis Federation. Professor Vee began his career as a martial arts instructor during the mid-1950’s, and for over three decades, he actively taught his art at different locations throughout the New York City metropolitan area. Over the the years, his system would produce a number of notable martial artists, some who founded their own fighting styles. 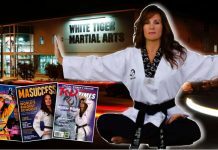 These include Professor Moses Powell, father of Sanuces Ryu Jiujitsu, and Master Lil’ John Davis of Kumite Ryu Jiujitsu. Professor Vee continued cross-training and researching other fighting systems. He embarked on a study of several different styles of Chinese Kung Fu. They included Southern Praying Mantis, Yang style Tai Chi Chuan, Baqua Chang, and Wing Chun. He also studied basic Karate techniques from Lou Angel. He continued to refine and make changes to his system. As it evolved, so did its name. At one point, after adding Kenpo Karate forms, he renamed it Vee-Jitsu-Te. In 1965, Professor Vee introduced Vee-Jitsu ’65, an improved version of his art. The following year, the AJJF conferred upon him the title of Professor and awarded him a 10th Dan ranking in his own art. The AJJF repeated the process in 1971, after Professor Vee presented them with another update of his system, now called Vee-Jitsu Ryu Jiujitsu. 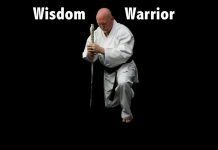 In 1983, he discarded the Kenpo katas in favor of Arnis, and later adopted the name, Vee-Arnis-Jitsu. Later, he approved the addition of Muay Thai boxing techniques, making the art more powerful and effective. In 1993, in recognition for his contributions, Professor Florendo Visitacion was elected to the Martial Arts Hall-of-Fame and given a “Life-time Achievement” award. Professor Florendo Visitacion retired from active teaching before his death in New York City, New York on January 4, 1999. His martial art continues to flourish thanks largely to the effort of David James, the present chief instructor of the Vee-Arnis-Ju-Jitsu School of New York. David James is a worthy successor to Professor Vee in that he continues to make improvements by updating certain concepts, adding new techniques, or by just modifying and making minor changes. Professor James is firmly committed to bringing his students the best self-defense system available today.